In the guide, we’re going to give you a list of the Best Kodi Addons of September 2017. Recently, a lot of users have noticed that various add-ons are becoming more and more unreliable. Especially addons that provide Movies & TV Shows. That’s why it’s important to check out our monthly list. We’ll provide you with the Best working Kodi Addons for Movies, TV Shows, IPTV, Live TV, Sports, Music and more! This month, a lot of Kodi users also upgraded to the latest version of Kodi (17.4). All these addons will work for the latest Kodi 17.4, as well as previous versions of 17.0, 17.1, 17.2 and 17.3. 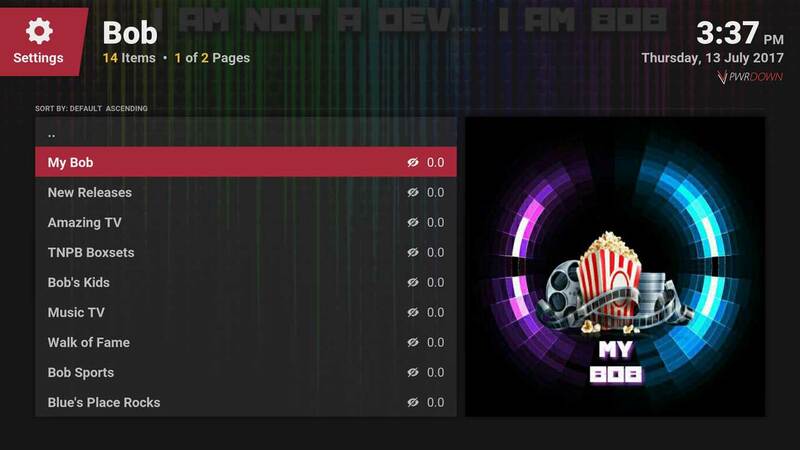 We’ve added a whole new Kodi Builds & Kodi Add-ons section to our site this month, make sure to try it out! If you have can think of any Kodi addons that we may have missed and should be included in next months list, let us know. If any of the following Kodi addons stop working all of a sudden, please let us know. This Kodi addon has always been in the spotlight, and is definitely the best Kodi add-on for Live Sports. This addon has been around for a long time, and is still kicking it. With SportsDevil, you can also watch on demand sports from a large amount of different sources. However there are a lot of other sports add-ons now available for Kodi, we have covered some in this list of Best Kodi Addons for Live Sports. The WolfPack Addon is becoming more and more popular, and for many reasons. It has a lot of varied content, including IPTV & Live TV, Movies, TV Shows, Documentaries, Stand Up Comedy, Kids Zone and even Live Cams section where you can look through CCTV Cameras from around the world. 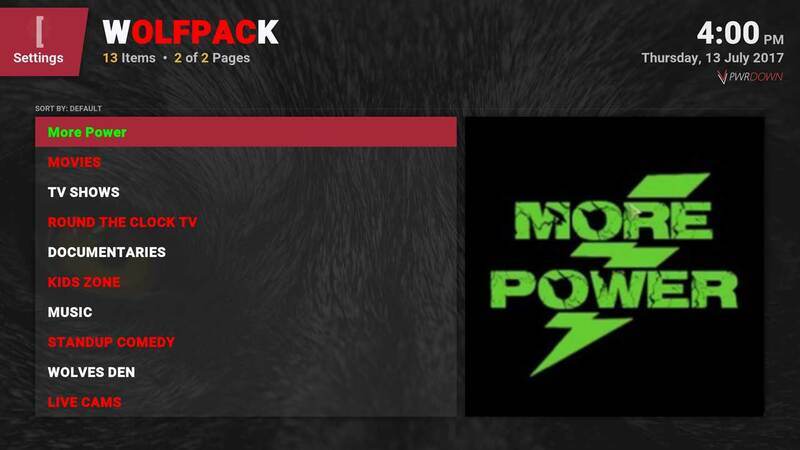 WolfPack shouldn’t be used as your primary add-on for Movies or whatever, but definitely a good back-up. 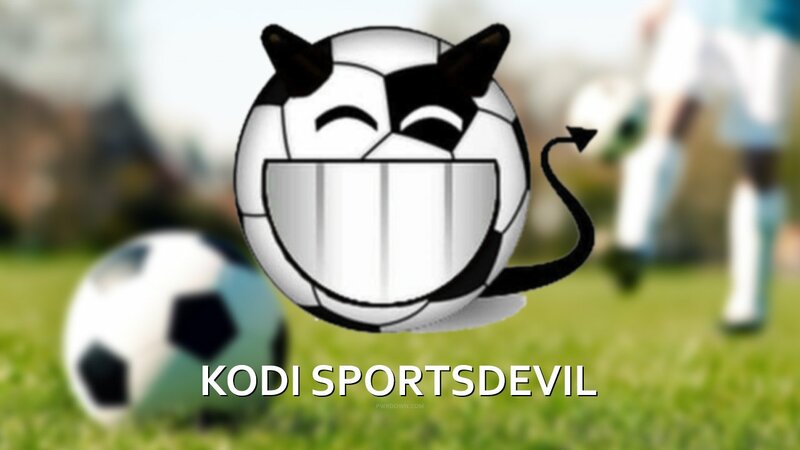 Alternatively, you can try The Fixtures Kodi Addon instead of SportsDevil. 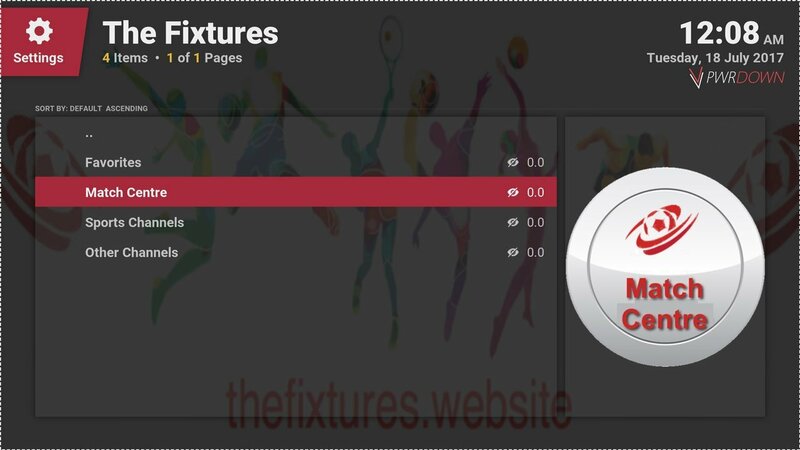 What The Fixtures provides is Live TV Channels for a lot of different Sports Content, as well as a list of live games. Some of the sports channels that The Fixtures offers includes Sky channels, BT Sports, ESPN, Fox Sports, TSN and much much more. I tested out some of the streams, and the quality seemed great. 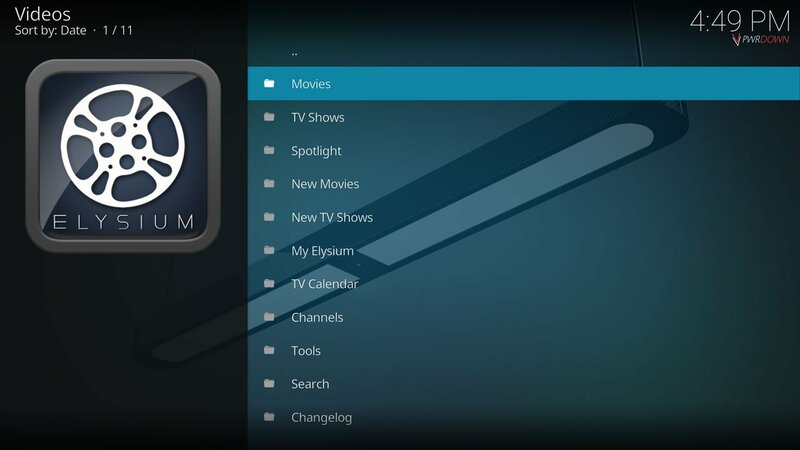 The Elysium add-on for Kodi Krypton is another provider of Movies & TV Shows, similar to Covenant, Genesis Reborn, Specto and Exodus. However this one still seems to be working most of the time. With Elysium, which was formerly known as Zen, you can download files, enable account integration with IMDB & Trakt. 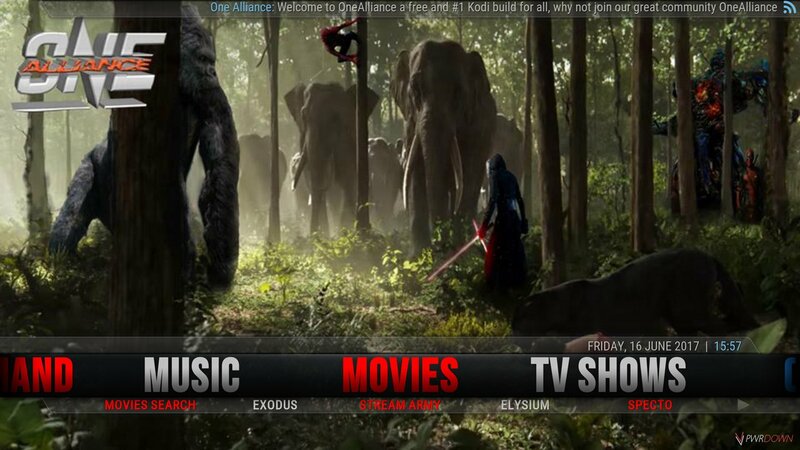 It’s a great add-on and a great alternative to some other Kodi Movie add-ons. The Bobbys Cartoons add-ons provides a lot of TV Shows, a lot from YouTube. Specifically, all of the shows are Cartoons & Animations. 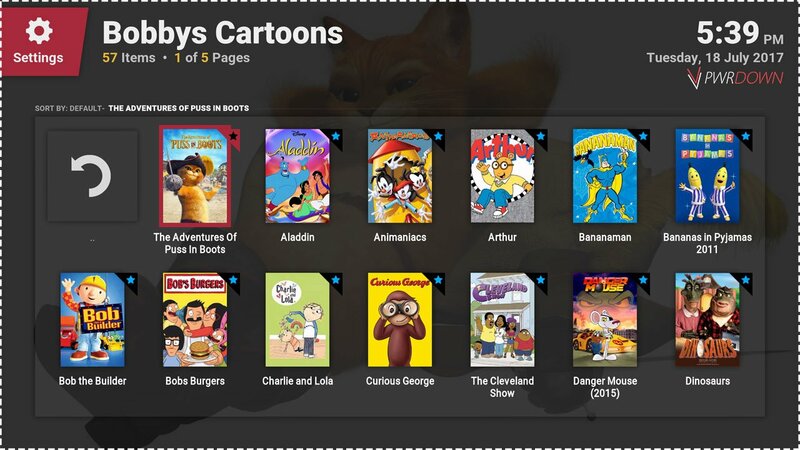 There is a lot of Kids content in the Bobbys Cartoons Kodi add-on. However, if you look hard enough you can find some Adult shows such as The Cleveland Show & Bobs Burgers. 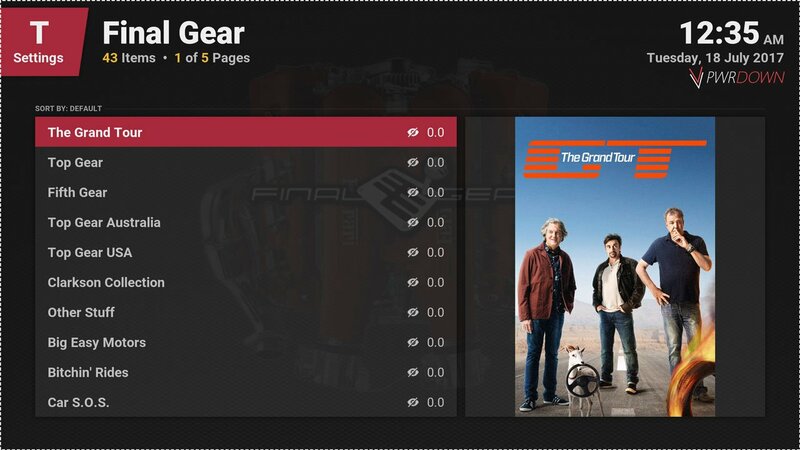 If you’re a big fan of cars and vehicle shows, you’ll more than likely love the Final Gear addon. It’s packed full of TV Shows such as Top Gear, The Grand Tour, Pimp my ride, Fast N Loud and a lot more. There are 43 car shows included, so a lot of great choices. I’m not sure how often this add-on is updated, however it definitely deserves it’s place on the Best Kodi Addons of September 2017. If you’re using a custom Kodi Build, you probably already have Bob Unrestricted in your setup. However if you don’t, it’s a great choice to install. Bob has categories for My Bob, New Releases, Amazing TV, TNPB Boxsets, Bob’s Kids, Music TV, Walk of fame, Bob Sports, Blue’s place rocks, T.A. Streams, TNPB, Valhalla, Settings and Search. Inside of these categories, are hundreds of other categories where you can find many sources for Movies in 3D, 4K and much more. The cCloud TV Kodi Addon isn’t the best addon for IPTV/Live TV, however it does have a lot to offer. There are over 2000 channels provided with cCloudTV. However some streams go down occasionally, and a lot aren’t in HD. That shouldn’t stop you for trying out this add-on though, it’s a great back-up addon for any IPTV Content. 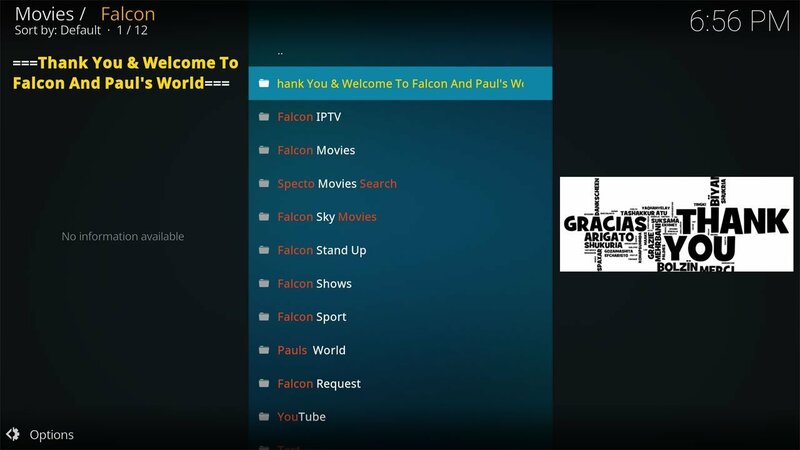 The Falcon Kodi Addons (there is 3 of them) are a good contender for the Best Kodi Addons of September 2017. 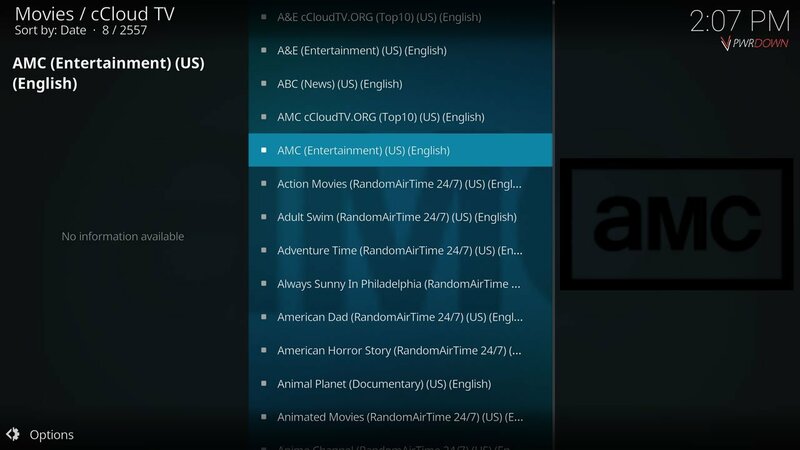 However, the addon above is the main Falcon add-on, which primarily provides Movies, TV Shows, Sports and IPTV straight to your Kodi device. Other Falcon add-ons that are available are Falcon Ultra TV & Falcon Sports. IPTV Channels are primarily from UK, USA & Spain. 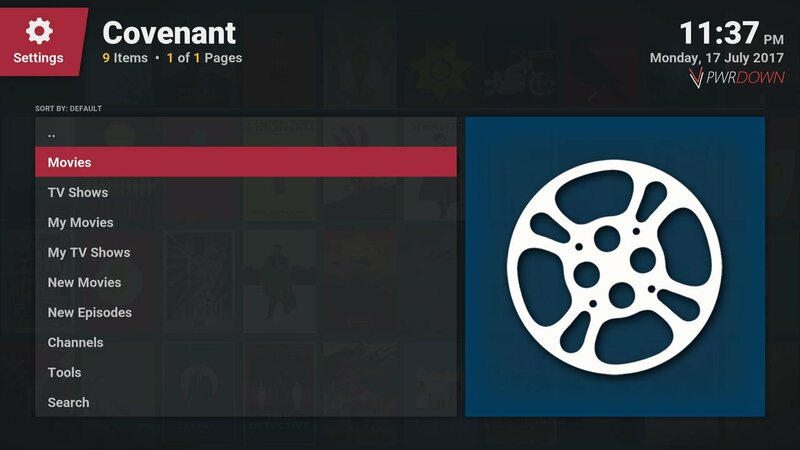 With a lot of Movie & TV Show Kodi Addons hitting the dirt lately, it seems Covenant is the best Kodi add-on for Movies right now. It works so much better if you implement Alluc, however streams are very compressed. Covenant has some great features, such as account integration with IMDB and Trakt, so that you can copy your watch lists over. 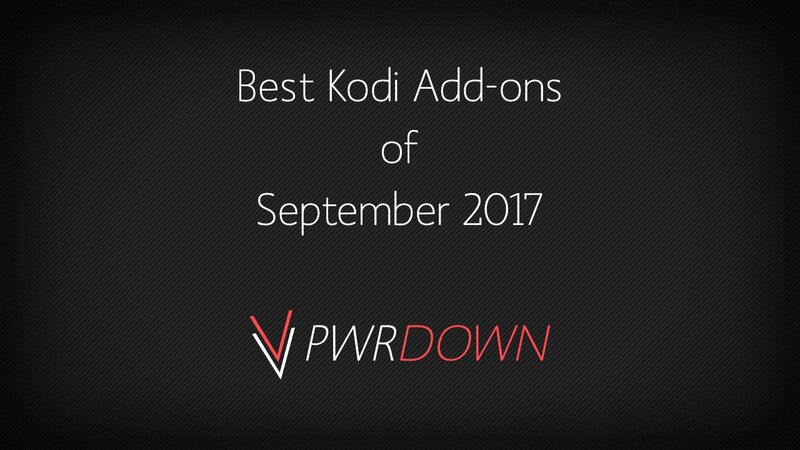 It’s definitley deserved on this list of Best Kodi Addons of September 2017. We recommend settings up Alluc with Covenant to get even more HD Sources!